Art is the most beautiful medium of expression. 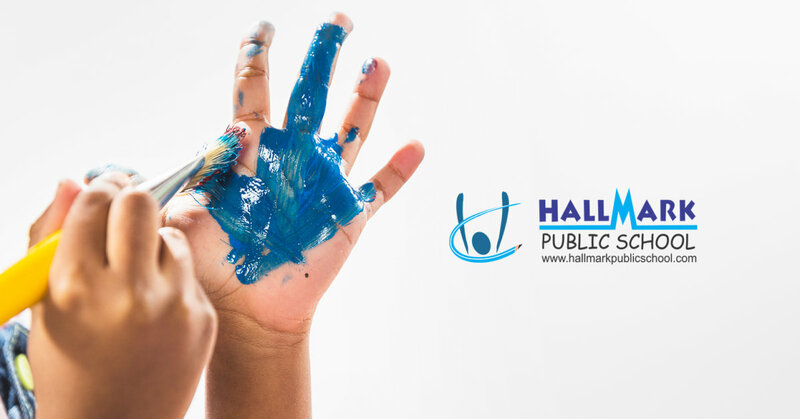 At Hallmark, one of the Top schools in Panchkula, we believe that every individual hastheir own style of putting his or her talent in some form or the other. Many use a paintbrush to express their imagination on a canvas some use words to connect with their emotions and create poetry, while others use music to explore the artistic side and soothe their own senses. Ever since our birth, we have a certain inclination towards art. Eventually, this interest that we develop, has a huge impact on us. In a way, it gives meaning to our lives, something to fall back on and something to bring a smile on our face. Art has always been powerful enough to liberate us and provide us with the satisfaction of creating more. The fascinating side is, it isn’t imposed on us in any way. It’s our passion and it eases us when our own thoughts are scrambled. Art brings clarity and this, in turn, affects our lives in a subtle way. The importance of art in a classroom is totally undeniable. It not only boosts the confidence level in a child, but also makes him explore the artistic skills. For example, a teacher can teach the kids how to work with clay or play dough, basically how to go about it, but it’s the sheer imagination of a child who can create anything out of it. In the education process, art plays a vital role in teaching things that are not directly taught through any book or curriculum. Art helps them to be more organized, disciplined and patient. It simply allows them to construct anything, or create anything. A teacher can introduce them to a wide range of colours, but it all comes down to how a child paints the sky, what colour he imagines the sky to be. Creativity needs basic knowledge, the rest of it depends on what a kid decides to do with it. Crowned as the Best CBSE school in Panchkula, we understand, a school is the very beginning of all the lessons that are needed, to grow develop and make a difference.